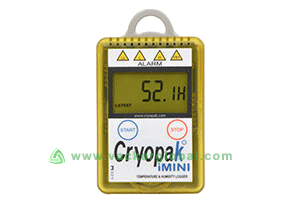 Cryopak USA has a wider range of models to offer on Humidity and Temperature Data Loggers which can be used for a variety in the range of temperature and humidity levels. Further, it can be used in different memory range too. Logistics of health care is one of the major fields of use of these Data Loggers. You can also find various models that have internal or external sensors for data logging of temperature. Vacker Saudi Arabia or KSA supplies Humidity Data Loggers in regions of KSA such as Riyadh, Al Khobar, Dammam, Jeddah, etc. It has a large memory capacity and can record 16,000 to 128,000 readings. It can have internal or external type of temperature sensors or it can have both internal and external sensors. It has an external humidity sensor. It has 4 different visual LED alarms that have different colored indicators. 2 alarms are on the higher side while the other 2 are on the inferior side. The sampling intervals are programmable from as low as 5 seconds to as high as 17 hours. On application like refrigerator, that suffers frequent opening of door that may result abrupt fluctuations, an optional gycol bottle can also be used. It has a warranty of 2 years. 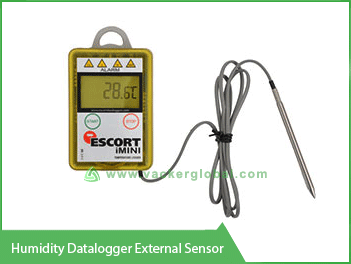 In this series of Data Loggers, following models can be found in the market. It is one of the types of multi use Humidity and Temperature Data Logger and has external sensors. There is 1/1 internal/external temperature sensor and an internal humidity sensor. It has a digital sensor and NTC type of sensors. It has a memory capacity of 16,000 readings but higher models are also available that has a capacity up to 128,000 readings. There is 1 internal temperature sensor and an internal humidity sensor. It has a digital sensor. You are requested to check the instruction manuals and videos of the iMini series data logger. It records reading in its memory that has a capacity of recording 32,000 readings. It has an LCD display with the functionality of viewing various functions from it. It has the provision of both visual and audio alarms. It has the capability of bookmarking times. It can record recordings at a very wide range of temperature. It can measure reading with utmost accuracy of ±0.35 °C. The type of external sensor it uses can be detached, customized. It is a multi use data logger type for both temperature and humidity. It has a battery Life of 1-2 years but it depends upon its usage. Vacker KSA focusses on energy conservation by providing engineering solutions that automate homes, offices, industries, processes, electro-mechanical item trading, MEP contracting and other engineering activities. In Saudi Arabia or KSA, we serve areas such as Dammam, Riyadh, Al Khobar, Jeddah, etc.